Precision medicine and the continuous analysis of “Big data” promises to improve patient outcomes dramatically in the near future. 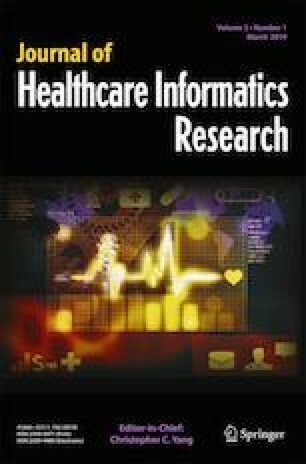 Very recently, healthcare facilities have started to explore automatic collection of patient-specific physiological data with the aim of reducing nursing workload and decreasing manual data entry errors. In addition to those purposes, continuous physiological data can be used for the early detection and prevention of common, and possibly fatal, diseases. For instance, poor patient outcomes from sepsis, a leading cause of mortality in healthcare facilities and a major driver of hospital costs in the USA, can be mitigated when detected early using screening tools that monitor the changing dynamics of physiological data. However, the potential cost of collecting continuous physiological data remains a barrier to the widespread adoption of automated high-frequency data collection systems. In this paper, we perform cost-benefit analysis (CBA) of machine learning applied to various types of acquisition systems (with different collection intervals) to determine if the benefits of such systems will outweigh their implementation costs. Although such systems can be used in the detection of various complications, in order to showcase the immediate benefits, we focus on the early detection of sepsis, one of the major challenges of hospital systems. We present a general approach to conduct such analysis for a wide range of hospitals and highlight its applicability using a case study for a small hospital with 150 beds and 3000 annual patients where the acquisition system would collect data at 1-min intervals. Lastly, we discuss how the analysis may help guide incentives/policies with regard to adopting automated data acquisition systems. The original version of this article was revised: The incorrect version of Figure 3 appeared in the original version of this article. This manuscript has been co-authored by UT-Battelle, LLC, under contract DE-AC05-00OR22725 with the US Department of Energy (DOE). The US government retains and the publisher, by accepting the article for publication, acknowledges that the US government retains a nonexclusive, paid-up, irrevocable, worldwide license to publish or reproduce the published form of this manuscript, or allow others to do so, for US government purposes. DOE will provide public access to these results of federally sponsored research in accordance with the DOE Public Access Plan (http://energy.gov/downloads/doe-public-access-plan).